Customer Picture Number 19 Selected. Cool Car decals applied. Look at the picture at the top. 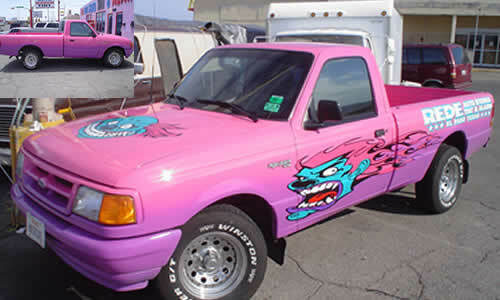 This business owner not only wanted to add alot of style to his ride and give it a tougher appearance but he also wanted the attract attention to the store. Big, Big change!